RG-6/F-Type Connector: Water-resistant F-compression connectors for RG6/U Quad-Shield Coax cable used by many satellite and cable TV service providers. Note: Available in 10 and 50 packs. 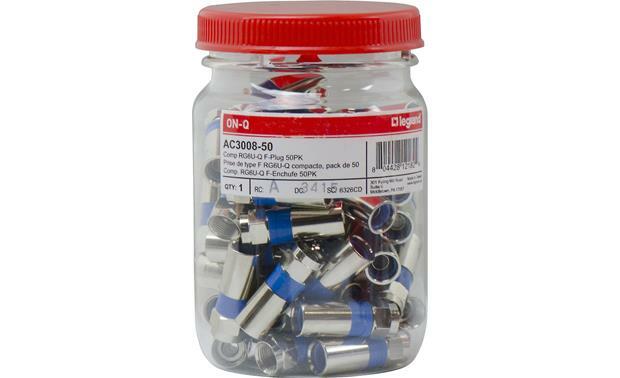 Searches related to the On-Q AC3008-50 Compression F-connectors for RG-6 or RG-6Q (50 pack).